What does OSE mean? This page is about the various possible meanings of the acronym, abbreviation, shorthand or slang term: OSE. In demonology, Ose is a Great President of Hell, ruling three legions of demons. He makes men wise in all liberal sciences and gives true answers concerning divine and secret things; he also brings insanity to any person the conjurer wishes, making him/her believe that he/she is the creature or thing the magician desired, or makes that person think he is a king and wearing a crown, or a Pope. Ose is depicted as a leopard that after a while changes into a man. His name seems to derive from Latin 'os', mouth, language, or 'osor', that who abhors. Other spellings: Osé, Oze, Oso, Voso. 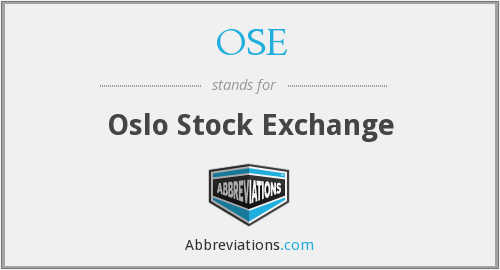 Couldn't find the full form or full meaning of OSE? Know what is OSE? Got another good explanation for OSE? Don't keep it to yourself! "OSE." Abbreviations.com. STANDS4 LLC, 2019. Web. 22 Apr. 2019. <https://www.abbreviations.com/OSE>.